An innovative approach to modern city living, Wharton Street Lofts fuses old school charm with stunning contemporary appointments. These units offer the best of both worlds creating elegant and sophisticated spaces. Surround yourself with the best apartment living Philly has to offer from expansive windows showering every unit in sunlight to its stellar green roof deck with stunning city line views. East Passyunk Square, just a mile and a half from Center City Philadelphia. Original finishes preserved and celebrated in every unit merging old and new. 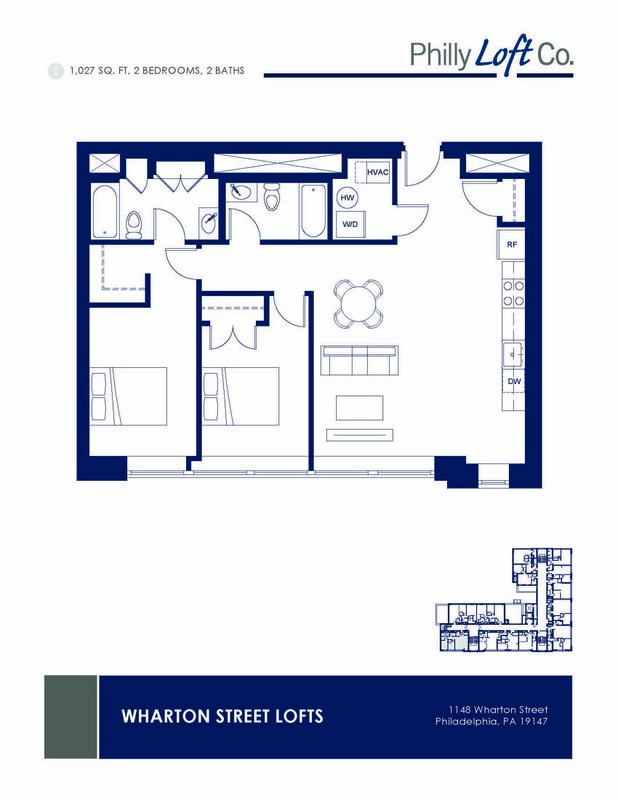 There are currently no available units at Wharton Street Lofts that meet your criteria. Please contact us for future availability. Monday - Friday : 9:00 a.m. –5:00 p.m. Check out our newly renovated apartments.